Clinical Director Paul Checkley was interviewed by Global News after a new, international study concluded that up to a third of dementia cases might be preventable; with hearing loss being the TOP modifiable dementia risk. The findings from an international commission of 24 leading experts from around the world were published in the prestigious journal, The Lancet. Many people don’t realise that they risk loosing much more than their hearing. Hearing loss can lead to isolation and depression and put you more at risk of dementia. Anyone who has concerns that their hearing is not what it used to be should get their hearing tested. Please complete the contact form below. 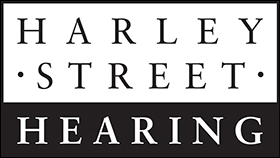 Harley Street Hearing are London’s leading independent hearing clinics. We have clinics in Harley Street, Herne Hill and Golders Green. Harley Street Hearing has been awarded Phonak Premium Partner mark in recognition of the high level of service they provide to their clients. Harley Street Hearing, 129 Harley Street, London, W1G 6BA. Copyright © 2019 Harley Street Hearing.